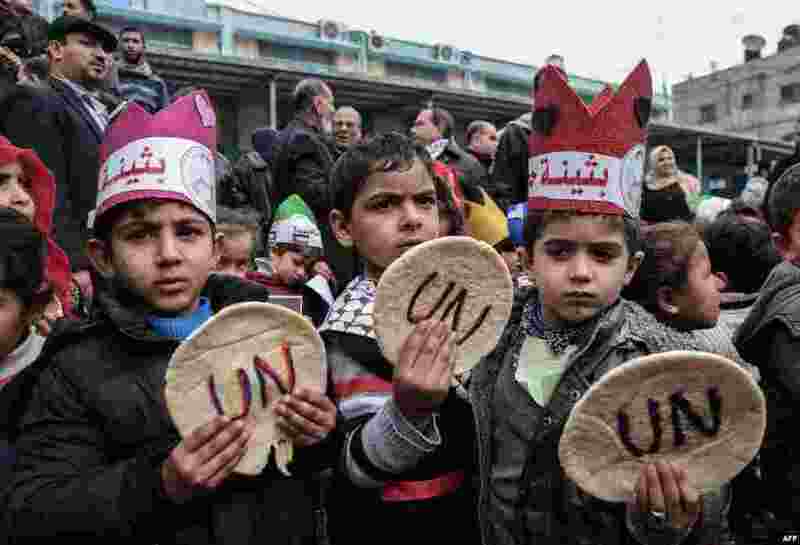 1 Palestinian children hold bread patties during a protest against aid cuts, outside the United Nations' offices in Khan Yunis in the southern Gaza Strip. 2 The U.N. refugee agency's special envoy, actress Angelina Jolie, kisses a Syrian child during her visit to the Zaatari Syrian Refugee Camp, in Mafraq, Jordan. 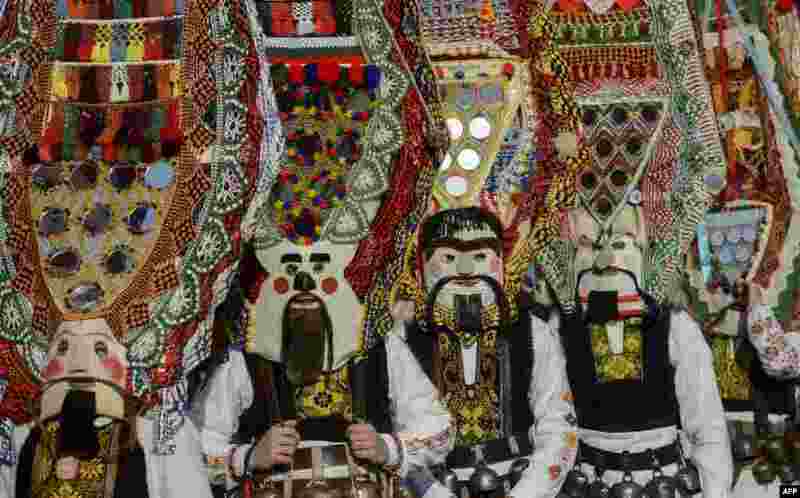 3 Dancers, known as "Kukeri", perform during the International Festival of the Masquerade Games in Pernik, near Sofia, Bulgaria. 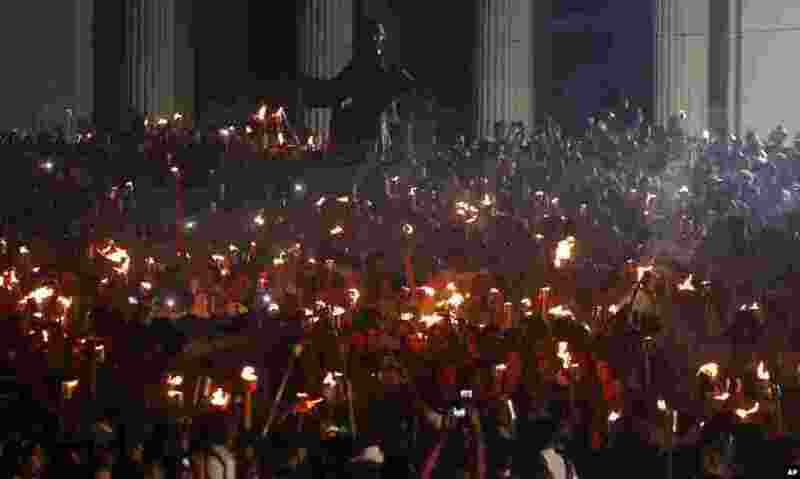 4 Thousands of people take part in a march from the entrance of the Havana University with torches to mark the 165th anniversary of the birth of Cuba's national independence hero Jose Marti and to pay tribute to late revolutionary leader Fidel Castro in Havna, Jan. 27, 2018.